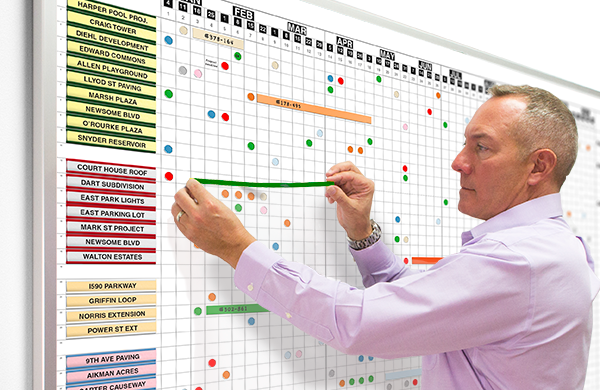 Field-proven magnetic whiteboard kits to schedule, update and visibly share your plans with associates around the clock. Does the task of planning or managing an ever-changing schedule seem daunting? These easy-to-use flexible magnetic calendars and scheduling whiteboard kits are designed to keep your team updated on your plan and its changes from day to day. Kits include a printed magnetic whiteboard with carefully selected magnets and supplies for both general and task-specific planning, organizing, scheduling, tracking and information sharing.